The Institute’s content is moving from GOV.UK to our new website www.ifapprenticeships.org. The Institute has taken big strides since it was set up in April 2017, and we have now created a new website that reflects our employer-led nature. In response to our user feedback we’ve looked at how we can provide better support and we are continually developing easier to understand guidance. 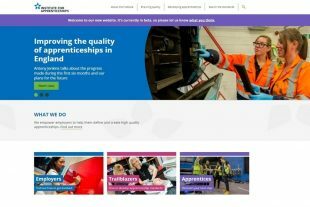 We have transferred the approved apprenticeship standards from GOV.UK on to the website so that they are searchable and we plan to transfer the standards in development over the coming weeks. While we are in this process of transition you can continue to access all apprenticeship standards (approved and in development) on GOV.UK. Bookmarks and saved links to the Institute’s GOV.UK content will still take you to the information you need. Over the next month we will redirect existing pages so that you will automatically be taken to the right content on our new website. If you have any feedback that will help us improve our new website, please leave a comment on the site.